UPDATE: Vice LTD Coming Soon! I know lots of you guys were bummed out to find out this palette had already sold out when offered a while back. 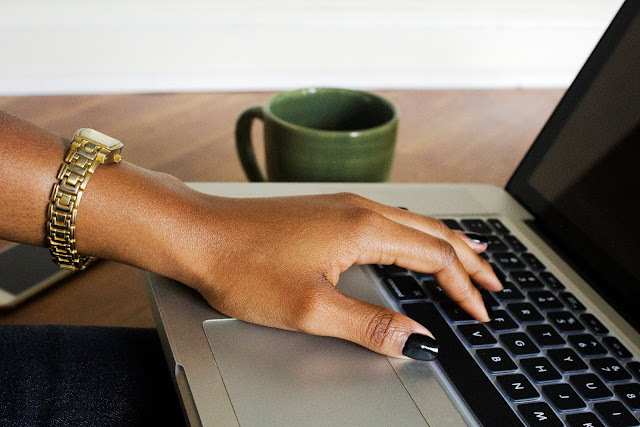 Sephora made only 1,000 available for early access to VIB Rogues but more are on the way! Vice LTD will be available next month just in time to go under the tree. It’s our most exclusive Vice palette yet—an ULTRA limited-edition case loaded with 20 velvety shades of Eyeshadow. We packed Vice Ltd with 20 shades of Eyeshadow—18 exclusives (five are NEW!) and two bestsellers—plus a double-ended brush. Experiment with brights, neutrals and smoky hues in a range of finishes—all in our decadent, velvety formula. Taking inspiration from some of our favorite palettes over the years, we created an amazing collection loaded with a mix of cult-favorite UD hues and never-before-seen shades you won’t find anywhere else. 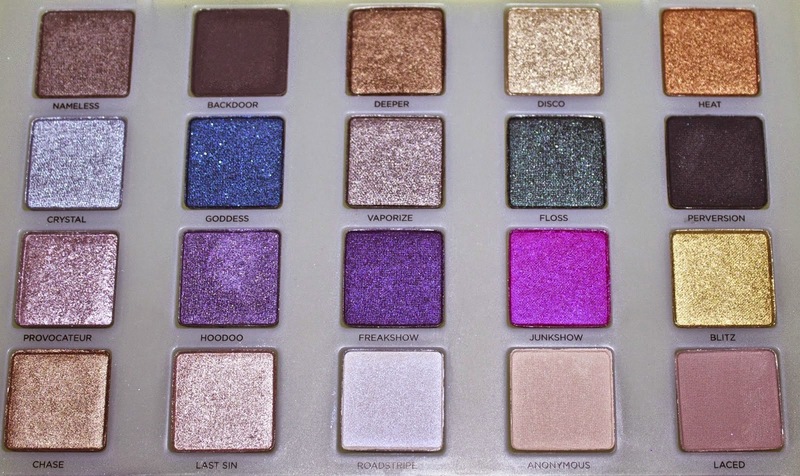 Standouts include Junkshow (a fan-favorite shade from the 15-Year Palette), Crystal (a cool silver from Book of Shadows IV) and Perversion (everyone’s favorite black shade from Book of Shadows II). And did we mention that this is the first time many of these shades have been available in our revamped shadow formula? Our Pigment Infusion System™ gives every shade its velvety texture, rich color, serious staying power and blendability. We topped the neon-green case with a matching jeweled UD icon. With the touch of a button, the case opens to unveil all that gorgeous eye candy, along with an oversized mirror and an exclusive double-ended brush. Sign up HERE to be notified when this palette becomes available. It will be sold at Urban Decay and Sephora. UK readers this will also be available at Selfridges. Urban Decay's sale goes live Dec. 4th 1am PST. 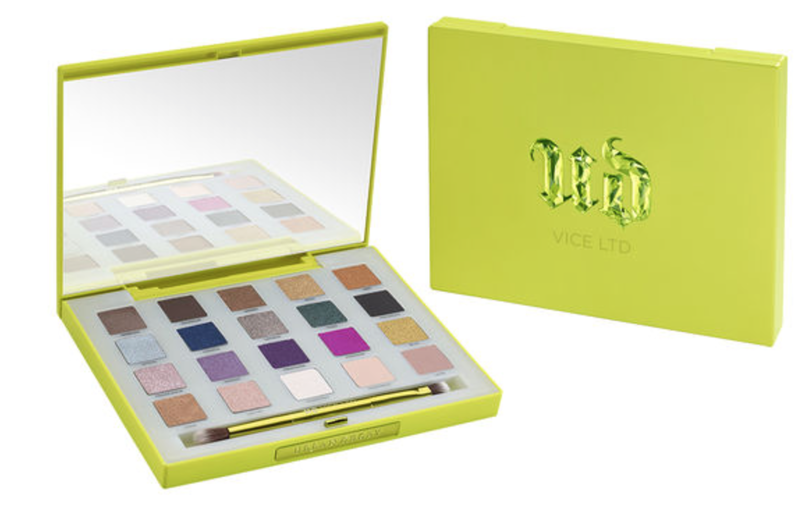 Most of the shades are from previously released limited edition palettes, hence the name Vice LTD. I don't see 5 new shades, however, as I researched all of them. Roadstripe may be listed as new as it's from UD circa late 90's and was discontinued.